Simple choices and healthy habits will transform the way you feel. I am a professionally qualified Dietitian and member of the DAA. I have the passion and care to help make positive, healthy changes to your lifestyle. 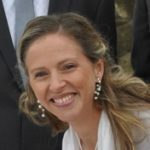 My diverse dietetic experience, from hospital to private practice, weight management, sports nutrition and being a mum of three, is the professional advice you need. I believe you have the right to live a health life. I understand your busy life and how this can impact on your choices. You are in control to change the way you feel and I can help you reach your desired goal. 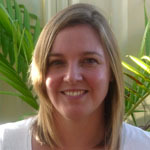 I am an Accredited Practising Dietitian and member of the DAA. Since graduating with a Master of Nutrition and Dietetics I have gained experience in an array of areas including disability services, chronic conditions, aged care and rehabilitation, and paediatrics. After graduating from school I worked to fund my extensive travel plans. 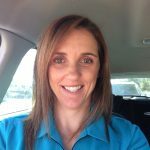 I returned to my home town of Geraldton in 2002 where I began working as a Receptionist for a well known local Physiotherapist. This is also where I met and worked with our own Principal Physiotherapist Billie-Jo. I then moved to a local Podiatry business, once again in the Receptionist role. I left there at then end of 2010 before having my first daughter in early 2011. At this time, Billie had offered me a position with her company and I became OTGRS’s Account & Administration Manager in July 2011. With the help of modern technology I continue to be based in Geraldton where I am lucky enough to work from home. Our family welcomed our second daughter in early 2014 and my spare time is spent enjoying the company of my family, having a go at gym based group classes, spending time with friends and being a member of our local Harriers group. Since finishing high school I have spent time travelling overseas, lived up North for awhile before settling back in my home town of Geraldton where I have worked various administration positions. In 2010 my husband who works on a five week on/off FIFO roster and I were blessed to have our first adorable son and I became a stay at home mum. Then in 2014 we were blessed again to have a beautiful little girl. With our family completed I decided to rejoin the work force and was lucky enough to be given an administration with On The Go Rehab. My family and I love spending time at the beach with our two golden retrievers and love hanging with our friends and family. 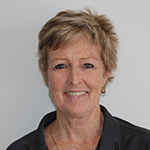 Since graduating with a Bachelor of Physiotherapy and a Bachelor of Exercise Science at Griffith University on the Gold Coast, I have gained extensive experience in both the public and private sectors; working acute rehabilitation in addition to community-based rehabilitation. I have spent many years working in the mining sector specialising in the development of policies, procedures, risk assessments and workplace rehabilitation. In 2008 we relocated to Perth. OTGRS came to fruition in 2009 providing our patients with a flexible and affordable service enabling them to maintain independence whilst giving me (initially) the flexibility to work and spend time with my children. Thankfully our service has been embraced with many satisfied patients! When I am not working my spare time is consumed by my family taking advantage of what WA has to offer – camping, water-skiing, surf-life saving… the list goes on. I graduated from Sheffield Hallam University (UK) in 1996 and since then have worked in a variety of different settings. Particularly specialising in musculoskeletal physiotherapy and community rehabilitation. I have worked with OTGR since moving with my family to Perth at the beginning of 2010. I enjoy working with clients in their own environment, helping them achieve their goals and make a positive impact on their lives. I also enjoy the challenge of mentoring the younger generation of Physio’s, ensuring they reach their full potential. My spare time is taken up with ferrying children around, spending time on the beach and discovering WA. I achieved my Bachelor of Science Physiotherapy with Honors at the University of Cape Town, South Africa. Having worked in many clinical areas, including public and private in Zimbabwe, London and Perth I have a broad range of experience. My main areas of interest are women’s health, lymphodema, falls prevention/geriatric and neurology. Hobbies include golf and tennis! In 2004 I obtained a BSc (HONS) Physiotherapy Degree from Coventry University UK. Throughout the past 12 years I have worked in hyper-acute, acute, rehabilitation and community services throughout the UK and Australia. My main passion is working with Neurological and Aged Care Rehabilitation clients to achieve the best possible functional outcomes. 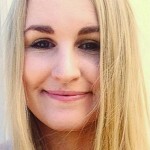 I enjoy skiing, playing Netball and international travel with my family. I obtained a Bachelor of Science in Physiotherapy from the University of Pretoria, South Africa in 2000. I worked predominantly in Private practice, Community Rehab and Nursing Homes. My interest is in Neurological and Orthpaedic Rehab as we all as Care of the Elderly. I have Basic and Advanced Bobath training. I am continually driven to develop myself professionally. I have a huge passion for Rehab! I thrive and get a lot of reward by seeing patients improve functionally or to simply assist where ever I can. My family and I have recently immigrated and enjoy exploring this BEAUTIFUL country in our spare time. 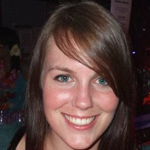 Gemma has over 10 years experience working as a Physiotherapist, predominantly in Perth as well as London. 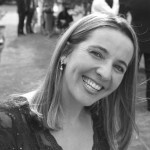 Also, she is a Feldenkrais Practitioner, Teacher of Awareness Through Movement Lessons and Pilates. Her special interest is Movement and how to create it with ease and less effort, specifically related to client goals and pursuits. Experience is diverse, ranging from working with Performers in the Arts through to Sports, Disabilities and Aged Care both in the private and public sector. 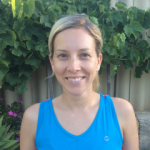 Outside of Physiotherapy, Gemma continues to pursue movement with her passion for the beach and water through swimming, yoga, walking and the occasional run! She keeps up with her interest in Culture and the Arts with casual work at the W.A. Museum and catching shows when she can. Since graduation I have enjoyed working in community physiotherapy in both Brisbane and Perth. I’ve found great satisfaction in this area of work where I take pleasure in meeting many interesting people as well as seeing the positive effects of physiotherapy in our client’s day to day lives. When I’m not working I like staying active and as a ex competitive swimmer enjoy a variety of water activities. I also have a keen interest in travelling and am always interested in hearing people’s tales from around the globe. I graduated from Curtin University in 2015 with a Bachelor of Science in Physiotherapy. Throughout my studies I gained a wide range of experience in areas such as musculoskeletal, neurology, cardio-respiratory, aged care and paediatrics. I also had the opportunity to work overseas in Laos a third world country, teaching the physiotherapists skills and helping those in need who were unable to afford Physiotherapy in the country’s main trauma hospital. It was an eye opening experience and helped me grow as a health professional. Through my practical experiences I’ve frown a passion for rehabilitation especially in the areas of stroke and neurology. I enjoy building relationships with my patients and their families, and base my practice on helping them achieve their goals both as an individual and as a family. In my spare time I’m a keen hockey player and junior coach. I love the beach and enjoy taking my dog for a swim. 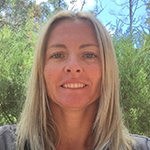 Since graduating from Curtin University of Technology with a Bachelor of Science (Physiotherapy) in 1999 and a Post-Graduate Diploma in Business (Marketing) in 2003, I have worked in a variety of hospital and community settings in Perth, Adelaide and for the NHS in London. 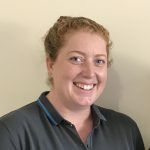 My experience has involved working with people of all ages across many physiotherapy specialities including orthopaedics, cardio-respiratory, neurology, burns and trauma, and aged care. I thoroughly enjoy working in the community setting getting to know clients in their own environment and assisting them to meet their physical and functional goals. I graduated from Salford University in the UK in 2006. I have worked for the NHS for 10 years covering a variety of areas including community, musculoskeletal and neurological rehabilitation. I specialised in Musculoskeletal physiotherapy in 2009 and in the last 7 years acquired knowledge and skills to offer to patients with musculoskeletal pain. I have also worked in Private practice for over 4 years to enhance my clinical skills and assess and treat a variety of conditions. I have recently just moved over to Perth to be closer to my family and enjoy the outdoor lifestyle. I enjoy keeping fit going to the gym, travelling and spending time on the beach. Post graduate training has involved acupuncture, completion of the McKenzie and Orthpaedic Medicine courses and I have a real interest for Pilates. I have recently just completed a Dementia friendly awareness course. I thoroughly enjoy working with clients in their own homes and helping them achieve their goals and read their full potential. 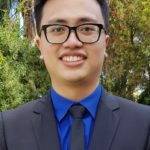 I graduated from Curtin University in 2017 with a Bachelor of Science (Hons) Physiotherapy. 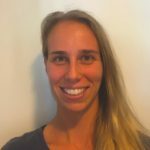 I moved to Australia in 2014 from France, where I completed my diploma in 2008 and worked as a Physiotherapist for five years, in private practice and community settings. I enjoy working with patients with various disabilities, providing the best Physiotherapy treatment while having a chat and a laugh with them. I also have an interest in neurology, cardiopulmonary and women’s health. Outside of work I spend time at the beach, bushwalking in National Parks or camping in the South West, making the most of the beautiful WA. 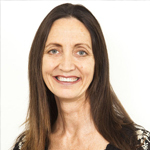 Brigitte Newbon is an experienced Australian & UK Registered Physiotherapist & Clinical Pilates Instructor. 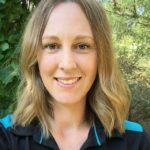 With over 10 years of experience in Australia; she has worked with all kinds of musculoskeletal, orthopaedic, neurological and cardiopulmonary conditions for all age groups from acute to chronic conditions,pre & post operation, pre & postnatal, occupational health, injury management and neurological-rehabilitation. 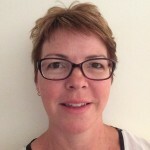 Brigitte uses modalities such as; exercise therapy, postural analysis, muscle re-education, movement re-education, clinical pilates, falls management, pain management and education. With these modalities her aim is to return her clients to full functional activity with the assistance of a suitable home rehabilitation program. 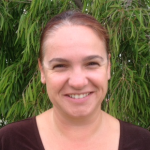 Brigitte loves the outdoors; she is a keen cyclist, hikes, plays golf, swims, snow skis both downhill and cross country. 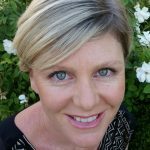 She has experience as a Physiotherapist and Clinical Pilates Instructor from all over the world and for the last 12 years has made Perth her home as she especially loves the lifestyle it has to offer. My passion for sport stated at a very early age. Representing Australia in my chosen sport lead me to a career in exercise and health. Completing a Bachelor of Human Movement (1998) and a Master of Physiotherapy (2004) at Curtin University kick started my career. 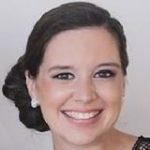 My experience encompasses acute and sub-acute hospital, to in-patient rehabilitation and aged care in Australia and in the United States of America. Areas that excite me are gerontology, neurology with an added twist of pilates. 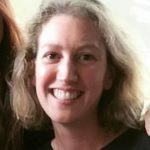 My physiotherapy expertise combined with the experience of living through a life of threatening chronic illness has allowed me to return to my beloved profession with a different approach. I am now a therapist more focused on empathy, patient centred goals, communication, connection, wellbeing and holistic health considering the mind, body and soul. with these tools I am to improve quality of life to make every single day count. We only live once and every day is a gift. Outside of working life I enjoy the beach, spending time on our boat, teaching others about health and essential oils, loads of self-care and being with those I love. I graduated from Curtin University with a Bachelor of Science (Physiotherapy) in 2009. I stated working in the mining industry and have gone on to work in a variety of areas including hospital in-patients and out-patients, aged care and community since then. I recently spent two years living in London where I was in a similar role visiting clients in their homes for rehabilitation. I have an interest in falls prevention and have been involved in falls clinics in both the UK and Australia. I enjoy helping people remain independent in their homes and helping them to achieve their goals of improved mobility or accessing the community more. I love travelling and food and spend most of my spare time running around after my kelpie and young son. I graduated from Curtin University in 2014 with a Bachelor of Science (Physiotherapy). I have enjoyed my studies and all my work positions as a physiotherapist. I have experience in both private and public hospitals, which has allowed me to work with a range of conditions. These conditions include, however are not limited to; spinal injuries, amputations, strokes and recurrent falls. My most recent physiotherapy roes was at Hedland Health Campus which gave me the opportunity to work in a hospital and out in the rural communities. When I am not working I enjoy the outdoors and travelling. I love exploring the world and immersing myself in different cultures. During University I was fortunate to have been given the opportunity to work in a rehabilitation centre in China. In 2016 I lived in Italy where I studied the language. I also enjoy running, yoga, hiking, puzzling and catching up for a coffee and cake. I love what I do and look forward to working with you. Since graduating in 2000 from the University of Western Sydney, I have enjoyed working in a variety of settings ranging from rural health clinics to large metropolitan hospitals including Westmead Hospital in Sydney and Royal Perth Hospital. My main area of speciality is with the ‘High Risk Foot’ namely diabetic pathologies and circulation problems. I am passionate about patient education, ‘Prevention is better than cure philosophy”, good foot health and medical grade footwear. I am aslo a proud mum of three kids, whom keep me on my toes! We are a busy family involved in Rugby, Little Athletics and Swimming. In our spare time we enjoy going to the beach. 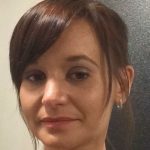 Since graduating in 2011 I have worked as a podiatrist in various clinical settings which include podiatry clinics, GP practices and aged care facilities. I have also been providing mobile podiatry services since 2013 for patients who are not able to get to the clinic themselves. As such I am very comfortable in providing excellent podiatry care in the comfort of the patients’ homes. I regularly participate in Continuing Professional Development sessions to further my knowledge and I am proficient in using techniques such as dry needling and foot mobilisation. When I am not working, I enjoy spending time with my wife and daughter as well as catching up with our friends. 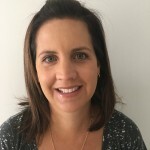 Since graduating from Curtin University in 2004 with a Bachelor of Science (Human Communication Science) degree, I have passionately worked as a Speech Pathologist across community, acute and rehabilitation settings, in both the public and private sector. I am a dedicated, enthusiastic clinician with extensive experience in the assessment and management of swallowing and communication disorders. In 2015 I started my own mobile Speech Pathology service, Bridge Health, which continues today. I have 2 children who are cheeky and forever keep me on m toes. I embrace the work/life balance that mobile allied health service have to offer, and happily juggle being a Speech Pathologist with family, school and playdates! 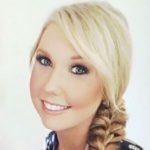 I graduated from Curtin University with a Master of Speech Pathology in 2010, with a background of a Bachelor of Science (Human Biology) degree completed in 2007. I have since worked with adults in both acute care and rehabilitation hospital settings, as well as providing Speech Pathology intervention within the home. I thoroughly enjoy my role as a Speech Pathologist, and the relationships I form with my clients. 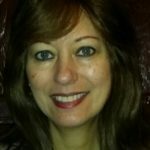 I am passionate about advocating for people with communication difficulties, as well as providing clinical, client centred therapy for people with speech and language issues. I have a special interest in assessment and treatment of Dysphagia (swallowing disorders) and meal time management. I also have a husband and two gorgeous kids who keep me busy! We enjoy spending time outdoors, drinking coffee and holidaying by the beach when we can.